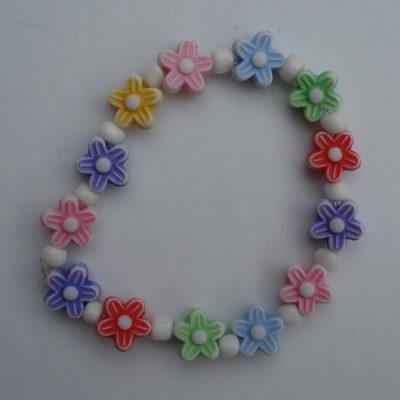 This simple childs Fruit and green bead bracelet is ideal for summer. 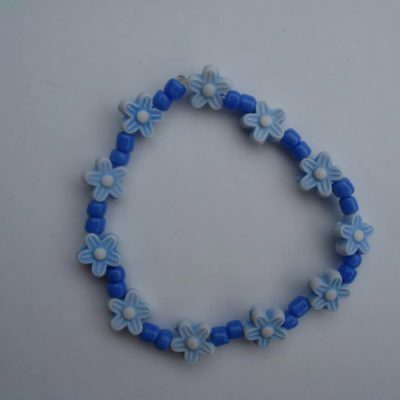 Also for casual wear, party gifts or presents. Elasticated for ease of use. Beads made of polymer clay and glass. Discounts on quantity, for details mail me with your requirements for details using the contact form. 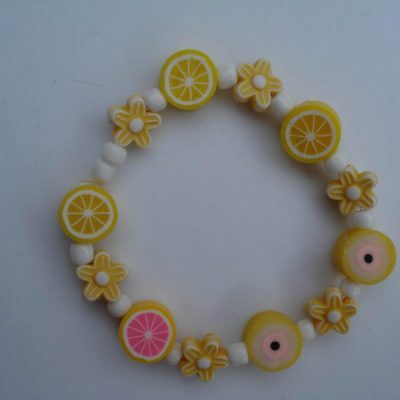 This fruit and green bead bracelet is made from pretty polymer clay fruit salad beads. Also green lined pony beads which are threaded on elastic. The beads are fascinating and have so much detail in them, the girls love them. 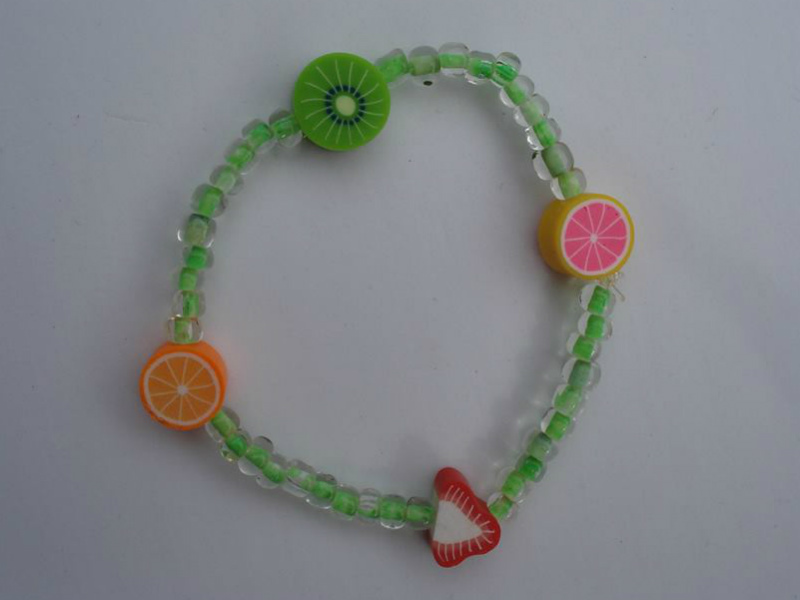 Also these fruit and green bead bracelets are ideal for party bags and stocking fillers. Discounts on quantity, for details mail me with your requirements for details using the contact form.